Sad !! I could not make it to the concert !! Good to hear about the concert. Have great time! You write so well !! It looks like an unfiltered expression of thoughts, yet so clear and coherent and in the right sequence. When I write something in a spurt I enjoy it more, but sometimes I feel might be making it a monotonous read and feel the need to make it interesting. congratulations chinmayi. happy for you. மேடையில் பாடும்போது பாடுபவர் காது அருகில் இருந்தாலும் அது அவருக்கு கேட்'காது' என்பதுதான் உண்மைதான்! வாழ்த்துக்கள்! Please get too much tension, it would affect your health. I totally get it ... in fact I got the info with vivid emotional description of the perfomances of the evening from my parents there at Chennai. I had mailed them the tickets after booking it on the Net as a surprise. And it seems you guys topped that surprise by giving a lively performance of the highest standard. My mom was totally gaga ... in fact she gave me an earful for getting them the best tickets for a 'ivlo kaasu koduthu edhuku da' amount of money...but you guys smothered with another earful of honey... it seems ! Though I wasn't there ... I derived the vicarious pleasure through my parents' narrative...as good as it gets! Thank you Chinmayi...and the whole team of the Novemberfest concert! I am bala, 21 from Singapore. In their hectic lifestyle few things are amusing and entertaining for my parents and make their hearts feel at home(india). One of those things is super singer. It does showcases a lot of young budding talents and also a wonderful host who is versatile. Keep up the great job. I am a big fan of the singer of kannathil muthamittal song and gosh when i found it was you, i was delighted. It's one of my all-time favourite songs and it's a pleasure to hear you.I wonder if anyone could sing it better. I just wish i could catch you live one day. I hope you cherish this opportunities and achieve what you intend to and hopefully do not get too distracted by media and fall prey to false circumstances. You are sounding so happy. Wishing you many more occasions like this. Is there any chance of getting glimpses of the concert in youtube/any other sites? 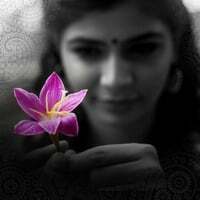 Modesty is thy name Chinmayi ? :-) Congrats to u and ur team for a great performance. If luck and talent favor, becoming an overnight success aint a dream. But then the task starts there. From ur narration, it's evident that sustenance requires a great degree of dedication, no complacency, competing with self to better one's last best and above all humility :-) wish most of us common people practiced such great traits demonstrated by u and scores of celebrities. We'd be thousand times more successful :-) kudos again to u as a pro and as a human. May ur tribe increase. The title suits the blogpost really well. You sound genuinely happy - it can be felt while reading. Would be very grateful for any chance seeing the videos of this show.